Cem mana ini blog makin lama makin ga produktif. Seems like it wasn’t a productive year in my blogging history. Hopefully, I can post more blog post in 2013. Hollywood enlivened again with fairy tale adaptation movie; this time is Snow White turns. If you wish to see cute-colorful-melodious fairy tale a la Disney, just prepared to be disappointed. Rupert Sanders, the director, brings Snow White story with darker and gothic tone. There are some modifications from the well-known Snow White fairy tale, but it doesn’t eliminate the characteristic of the story; a mirror, an apple, seven dwarfs, and a kiss. I think the movie itself is good. Despite being turned upside down, the story remains coherent and still leave the impression of Snow White tale. Really is not a charming princess. Even her war speech doesn’t seem full of spirit and enthusiastic, probably because her expression too. I thought she will act better than in that sparkling-vampire-movie, but I was wrong. K-Stew, don’t be an actor, you are much much much better as a model. Sadly, I can’t see the chemistry between The Huntsman and Snow White. The Prince Charming (Sam Claflin) is good but not too dominant, probably because he is not the one in the movie title. I think it is better if the director brings more chemistry of their love triangles instead of filling the film with scenes that are less important. And what makes this movie good? Charlize Theron! She is very very very good. You can see her as a cruel Queen Ravenna, but in the other hand, you also can see her as a fragile woman because of her obsession towards beauty. Ravenna’s childhood memories also support the character’s role well. Kemarin saya dan adek pergi ke daerah MT. Haryono demi mengirimkan dokumen penting lewat express mail yang buka tiap hari di sana. Setelah itu kami mampir ke Tebet sebelum pulang buat icip-icip dim sum all you can eat di sana. Saya waktu itu dapet info ini dari temen. Dia bilang ada dim sum all you can eat murah di daerah Kelapa Gading, eh ternyata sekarang doi udah ada cabang di Tebet juga. Namanya Bamboo Dim Sum, terletak di Jalan Tebet Raya No. 78. Buka jam 10.00-15.00 dan 17.00-21.00. Paket all you can eat di sini murah banget cuma 43000 IDR dengan free drink teh tawar hangat yang ambil sendiri. Sistem all you can eat di sini cukup aneh ya. Sebelumnya saya cuma pernah all you can eat dim sum di Eastern, Istana Plaza, Bandung. Kalo di sana kan kita order nanti dianterin pesanan yang kita mau. Kalo di sini, waiter keluar dari dapur bawa dim sum seabrek segala macem. Nanti dia bakal tawarin ke meja-meja atau kita cegar sebelum dia ke meja orang atau bisa kita panggil untuk request makanan. Makanan yang udah di meja harus dihabiskan, kalo ga nanti bakal kena charge seharga makanan tersebut. Dari 23 porsi yang kami makan itu ada steam dim sum (kayak siomay, hakau, ayam-jamur, nasi ketan ayam, ceker, tahu, wonton, siomay salmon), fried dim sum (bola cumi, bamboo spesial, lumpia kulit tahu), dan manis-manis (mantau jagung manis, bakpao srikaya, pisang goreng saus cokelat). Overall lumayan lah. Ada harga ada kualitas. Boleh lah dicoba buat yang mau kenyang murah makan dim sum. Source Code (2011) : cinema, long time no see! 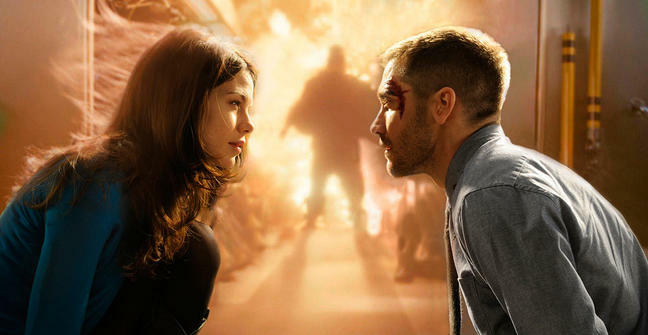 After looooong time not going to cinema, finally there’s worth-watching-movie again: Source Code. Source Code is a science-fiction thriller movie directed by Duncan Jones, starring Jake Gyllenhaal, Michele Monaghan, Vera Farmiga, and Jeffrey Wright. Colter Stevens (Jake Gyllenhaal) is an army helicopter pilot who finds himself awake in a body of unknown man. Later, he knows that he is part of a mission to find Chicago train bomber. He’s being an experiment on a program called Source Code. 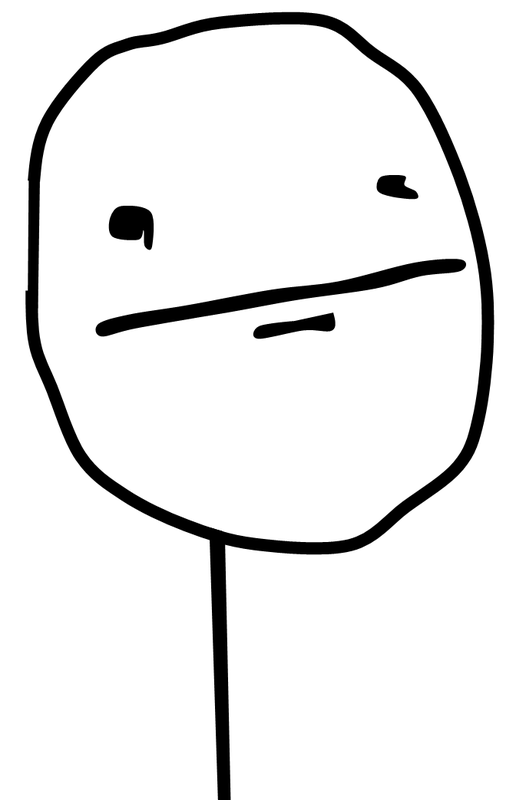 Source Code is a program that allow a person to take over someone’s body in his/her last 8 minutes of life. It’s not a visit into past time, but go to an alternative reality. Colter is placed in the closed chamber and Capt. Goodwin (Vera Farmiga) will explain the mission through screen and microphone. His mission is to gather information to prevent future bomb attack by locate bombs in the train, discover who builds them, and report the informations to Capt. Goodwin. Every time he awakes in a train, Colter awakes in body of Sean Fentress, history teacher who ride the train with his friend, Christina (Michele Monaghan). He is sent back several times because the mission haven’t completed yet. Every time he is sent back, he can learn from the previous travel and perform different action. Colter doesn’t remember how he got into this mission. His last memory is on a mission in Afghanistan. Confused, he discover through cellphone in the alternative reality that he died at the mission in Afghanistan. His injured body taken by Air Force and used by dr. Rutledge (Jeffrey Wright) for Source Code experiment. This movie is kinda confusing. All you have to do is just pay fully attention to it to understand. There is a lot repetitive scenes, but they’re packaged well so the audiences are not boring. The ending makes audiences think, whether the present be changed or the day in the alternate world be saved. After Colter discover everything about himself, he request to sent back once again in order to safe Christina and all the train passangers. After 8 minutes live in the alternate world, he is still there; not died, not sent back. In other scene, his text message in the alternate world to Capt. Goodwin arrived before any accident happen. Every time he sent to the train, he got 8 minutes to accomplished the mission. (Why the director choose 8 minutes? Why not choosing 10 or 15 minutes?) Sometimes, the 8 minutes passed very fast. But, like the last-eight-minutes-travel, the 8 minutes is very very long. How can he do all that stuffs in 8 minutes? Have quick conversation with some of the passangers, deactivate the bomb, catch the bombmaker, send message, kiss Christina? Hahaha, that’s seems impossible. What would you do if you only had eight minutes to live? So, is there any alternate-parallel-world in this real life? Imagining…, what am I doing there right now? What I’ve become?